Rachel Kallus’s research and teaching focus is on socially engaged architecture and planning. More specifically, she is interested in the sociopolitical production of the built environment and the formation of urban culture. In her work she uses critical theory to understand the mutuality of policy (planning), design (architecture), and the daily life and practices of the users. She has two ongoing research projects. One examines the implication of community-based knowledge on urban production in ethno-nationally contested spaces, mainly in Israel/Palestine. Her other research examines socially- engaged professional practice in postwar professional culture, focusing on controversies and debates concerning national reconstruction, international development, and transnational exchange. Rachel kallus is an associate professor of architecture and town planning at the Technion, Israel Institute of Technology. With a background in architecture and in planning she teaches and advises graduate students in the architecture program and in the urban and regional planning program. Her professional experience includes planning and design of housing and residential environments in Israel, the USA and The Netherlands. She has worked with NGOs and with community-based organizations, helping them plan and manage their own sustainable development. 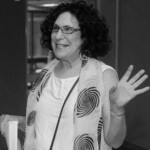 To increase the dialog between the academy, the profession, and the public at large, Rachel Kallus has established the Social Hub for Community and Housing at the Technion. The Social Hub is a community-based teaching and research center, aiming to mediate between local communities, architects, planners, and decision-makers on housing issues. Supported by the Israel Council for Higher Education, the Social Hub for Community and Housing motivates, facilitates, and communicates service-learning, public scholarship, and community-based research at the Technion. In its activity the Social Hub develops and supports professional commitment to socially engaged practice, research, and teaching, most needed in contested urban spaces. Rachel is the author of numerous publications on socio-cultural aspects of the built environment and its production in academic journals and books. She co-edited Architecture Culture: Place, Representation, Body (Resling, 2005). She has two book projects. One, titled: The Poetic of Place in a Global World, is based on her research, funded by the Israel Science Foundation, on planning/architecture in the context of post-WWII international development. The other, titled: Planning in a Mixed City: Professional responsibility, social change and spatial justice, is based on her research funded by The Pais Council for Arts and Culture, examining the use of community-based knowledge in ethno-nationally contested spaces. Rachel received her Doctorate from the Technion, holds a Master of Architecture from Massachusetts Institute of Technology, and a Bachelor of Fine Arts from Massachusetts College of Art. She was a visiting scholar at UC Berkeley and Harvard University and a key professor at IFU (Gender and the City Project Area) Universitat Gesamthochschule Kassel.